The Second Vatican Council was arguably one of the most significant events in the Catholic Church during the twentieth century. 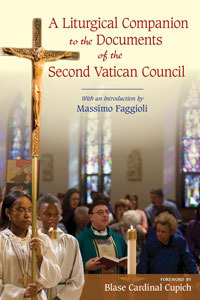 The Council produced sixteen documents that articulated significant issues facing the Church and repositioned Catholic theology in light of the modern world. Most notably, the first document of the Council, Sacrosanctum Concilium, emphasized the liturgy as the source and summit of Christian life. As such, the liturgy is intimately connected to all facets of Church theology and practice. The Second Vatican Council: What was it and why is it important today?